Evidence has surfaced of over 100 torture methods being employed against Falun Gong practitioners in China’s labour camps, detention centers, and mental hospitals. Judicial psychiatry against religious or political dissidents is emphatically prohibited by internationally agreed-upon standards of legal and medical ethics. Since July 1999, however, many Falun Gong practitioners have, at great risks to their own lives, been sending into psychiatric hospitals by the Chinese government. Ma Yanfang (photo left) , female, 33, from Xingshigou Village of the Darenhe Region of Zhucheng Town, Weifang City, Shandong Province ( in East China). In May 2000, Ms. Ma Yanfang was detained in Beijing for appealing to the government to stop its the persecution of Falun Gong practitioners. When she went on a hunger strike to protest her illegal detention, the authorities took her to the Zhucheng Mental Hospital in Zhucheng Town. Though she was a healthy person, she was treated like a mental patient. Under direct orders from the Weifang City Government Officials, the staff in the hospital forced her to take drugs intended for the mentally ill. Soon, her health deteriorated. After being kept drugged for two months, in September 2000, Ms. Ma died in the hospital. The officials from her factory threatened her parents, advising them not to inquire any further into the circumstances surrounding their daughter’s death. In May 2000, because Ms. Shi Bei practiced Falun Gong, the Police Department of Fuyang City sent her to the Seventh Hospital of Hangzhou City (a mental hospital). Although Ms. Shi was healthy both mentally and physically, she was treated like a mental patient. In the hospital, the basic necessities for living and sanitation were neglected. The ward was no different from a jail cell. The “bed” was just planks laid flat, and covered with straw. The hospital staff, under pressure from the police, gave Ms. Shi injections of large doses of sedatives, causing her health to deteriorate. 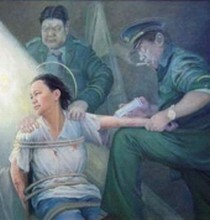 To force her to renounce Falun Gong, she was not given any food for a whole week. 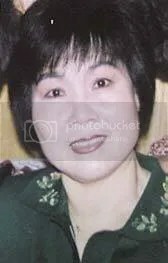 On September 10, 2000, Ms. Shi died from the torture and psychiatric abuse. 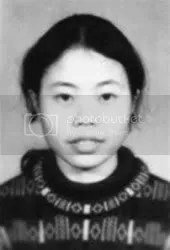 In March 2000, the Education Bureau of Lingwu City suspended Ms. Lu Hongfeng because she signed a letter of appeal requesting an end to the the persecution of Falun Gong practitioners. On June 7, 2000, the authorities and her husband took her to the mental hospital. In the hospital, she was tied to the bed and forcibly injected with large quantities of drugs. 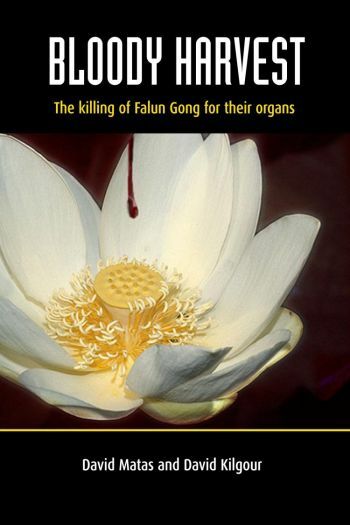 In order to make her renounce Falun Gong, she was given eight times the normal dosage. After fifty days of torture in the hospital she had became very weak, as the drugs destroyed her central nervous system. In July 2000, she was sent home, but her husband continued to give her large doses of drugs to further damage her nervous system. On September 6, 2000, she died from the psychiatric abuse. Location: The No.4 People’s Hospital, Yellow Mountain Road No. 316, Hefei City, Anhui Province. 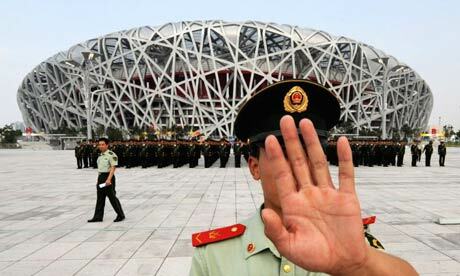 In July 2001, Professor Wu Xiaohua was arrested for practicing Falun Gong and secretly detained at the No. 4 People’s Hospital of Hefei City in Anhui Province (a mental hospital) without her family or her university being informed. Her illegal detention there was disclosed only after the hospital asked her family to pay the patient care fee. At the hospital, she was given injections and was force-fed drugs. She was not released until March 2001. At the end of April, Prof. Wu was again arrested while working at the university. She went on a hunger strike to protest her illegal arrest. As a punishment, her hands and feet were tied down and she was brutally force-fed. Her college also terminated her teaching appointment. In October 2001, during the APEC (Asia Pacific Economic Cooperation) meeting held in Shanghai, Prof. Wu was placed under house arrest. She was arrested again and sent first to a labor camp, and then sent to the No. 4 People’s Hospital again. 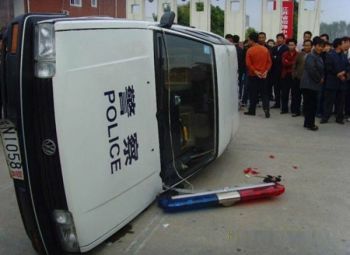 The police from the labor camp affirmed that Prof. Wu could be discharged as soon as she renounces Falun Gong. Currently she is still detained in the hospital and forced to receive infusions of drugs every day. 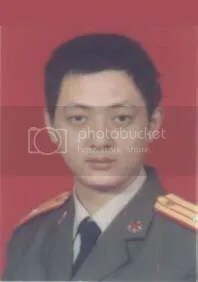 In February 2000, Lieutenant Zhao Xinli was arrested and detained at the No. 261 Hospital of the Liberation Army, a mental hospital. Lieutenant Zhao was injected daily with drugs that harmed his nervous system, leaving him weak and confused. The doctor also beat him and verbally abused him. Lieutenant Zhao was given excruciatingly painful shocks with an electric probe. (2). 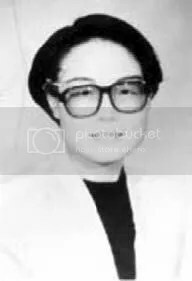 Li Qiuxia, female, 52, an in-service military officer, and a pharmacist at the Navy Headquarters Hospi-tal. On June 2, 2000, the authorities sent Ms. Li Qiuxia to the No. 261 Hospital of the Liberation Army. She refused to take the drugs, so the nurses tried to pry her mouth open and insert a tube into her stomach. Once, the nurses tied her to a post and inserted two electric needles in her temples. As the needles penetrated her flesh, her muscles twitched. The painwas excruciating. She was also forced to take drugs that affected her central nervous system. Nobody was allowed to visit her. On May 30, 2000, Ms. Wang Ning was also committed to No. 261 Hospital of the Liberation Army in Beijing. Three other Falun Gong practitioners from the PLA (People’s Liberation Army) were also incarcerated in the hospital during this period. None of them had any history of mental illness. The Chongqing City Police arrested Ms. Wang Jiqin ( photo at left) because she refused to renounce Falun Gong. On July 29, 2000, she was unlawfully taken to the Chongqing City Maojiashan Female Forced Labor Camp and sentenced to two years of hard labor. There, she was subjected to the cruelest mental and physical tortures. As a result, her health deteriorated daily, her weight dropped, and she could no longer look after herself. In the name of treating her “illnesses,” the camp police ordered seven or eight inmates who were drug addicts to force-feed her with an unknown drug, causing her to lapse into a coma. Seeing that Ms. Wang was near death, the labor camp sent her home in order to avoid responsibility. After returning home, Ms. Wang remained in critical condition, spitting up blood and passing blood in her stool. Her limbs became extremely weak. She also had difficulty breathing, coughed, vomited, and had diarrhea. She felt sharp pains in her abdomen due to ascites [accumulation of serous fluid in the abdomen], and she could not sleep at night. She died on September 23, 2002. 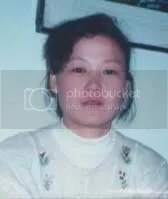 This entry was posted on January 6, 2007 at 9:33 pm	and is filed under Anhui, Beijing, China, Chongqing, Crime against humanity, East China, Falun Gong, Health, Hefei, Human Rights, Law, medical, News, Ningxia, NW China, People, Photo, Religious, SE China, Shandong, Social, Special report, SW China, Torture, Women, Zhejiang. You can follow any responses to this entry through the RSS 2.0 feed. Both comments and pings are currently closed. with out the means of a strong evolt, [now weapons] they would be sluttered like sheep, china needs to rid it’s country of people, any way it can. THATS REALLY BAD AND TERRIBLE, NO RESPECT FROM LIFE, HUMANS, NATURE AND ANIMALS …..
MAN, I COULD CRY…… WHATS WRONG WITH OUR WORLD???? the fact that doctors and psychiatrists, people we are supposed to trust, are using their powers for evil instead of good is horrific. How could anyone do this to another human being, simply because of a belief similar to tai chi?! That’s appalling. I give praise to the victims of this abuse, who are strong enough to stand up for what they believe in, even if it results in the loss of thier lives and endless hours of torture. That is so brave and something not everyone is willing to do. I know if i was put in that situation I would have been weak and given in. I pray for all the victims who were and are currently being put through this. That is all I can do and it hurts that I am so helpless. The were so crude. They’re not worthy to be called “human” because there doings were not actually humane! I was horrified upon reading some of the posts here. I wasn’t aware that this was happening to some of the areas mentioned above.